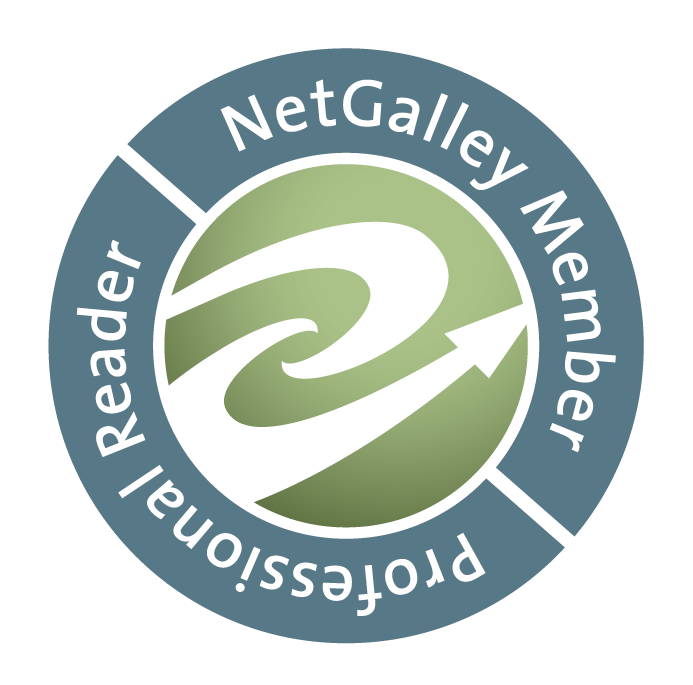 Neil Gaiman wrote, “Books make great gifts. 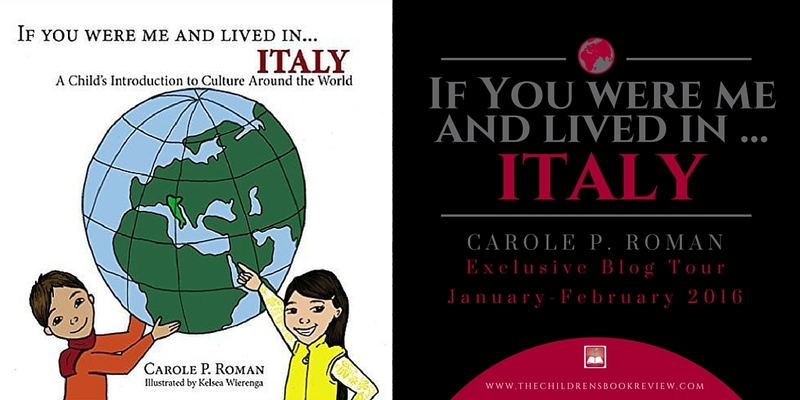 They have whole worlds inside of them.” Carole P. Roman’s series of books about countries all over our world offer those “whole world” experiences to children. There are many children in our country who do not have the opportunity to travel to other countries, even to other states. Fortunately, Carole Roman began writing books for young people that will take them far, and spark an interest for further research as they grow older. Carole has written books in this series about seventeen countries, beginning with the award-winning title If You Were Me And Lived In . . . Mexico. You can find all the books here on her Amazon author page, plus learn about her other books, about pirates and yoga! 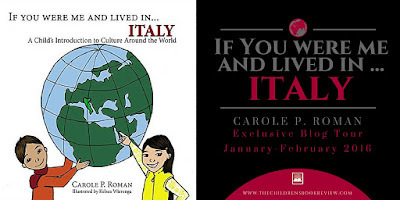 Carole’s latest travel book, If You Were Me And Lived In . . . Italy, flies us across the ocean to southern Europe, as she writes, lo Stivale (the boot) or as we know it here in the United States, Italy. She begins with the geography, the spare text telling what the country is, what it is often called if you live there (lo Stivale). 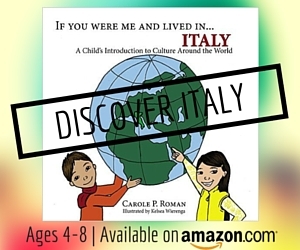 The opposite illustrated page shows a boy and girl holding the world, pointing to Italy, and that boy and girl take us on a tour of their country throughout the book. I like the way the illustrator, Kelsea Wierenga, sometimes uses photographs with her own drawings to make interesting composites. On one page there is text about a weekend activity, going to Olimpico stadium to watch a football game, and the illustration shows a stadium picture in the background, with those sketched kids cheering and clapping in the foreground. Carole’s text covers a bit of the ancient Romans like the Coliseum: common daily experiences, like visiting grandparents (Nonno and Nonna) and favorite meals eaten. There is much in the book to start our wondering, about food, daily life, history, and traditions. For a brief beginning book of a country study, I enjoyed seeing that Carole introduces the many layers of knowing about a country. 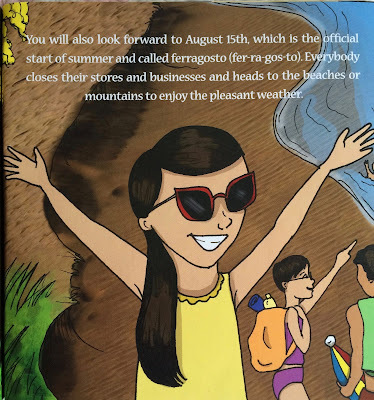 Children will love hearing about August 15th, the official start of summer, called Ferragosto. 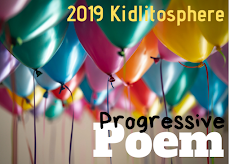 At the same time, she introduces vocabulary--the word and the pronunciation--within the text, and includes a pronunciation guide at the end. These books will make terrific additions to the geography sections of school libraries, or be wonderful beginning books to introduce countries to children when one is traveling to one of the countries. These books will make readers want to travel. It's so nice that they are for slightly younger readers to get them interested in other cultures. Hope you entered the giveaway, Elsie! Wonderful giveaway opportunity. I agree Linda.I too was pleased to see it was set for the younger child too.